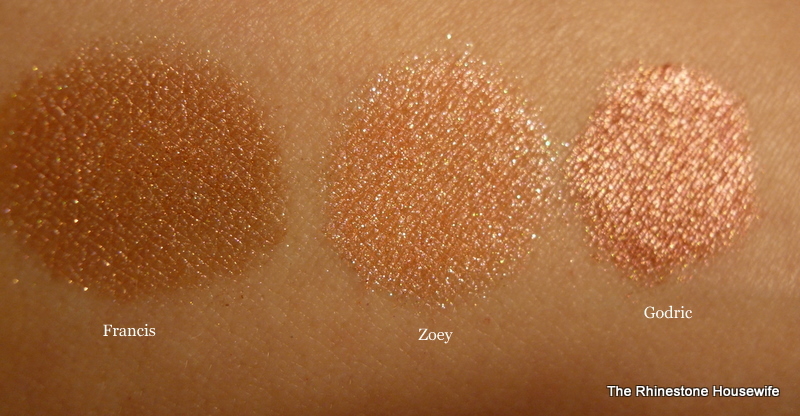 Victorian Disco is a new indie makeup company for me so I was super excited to find them. First of all, I *love* all things disco and when you throw in some Sci-Fi geekery then I couldn’t say no. 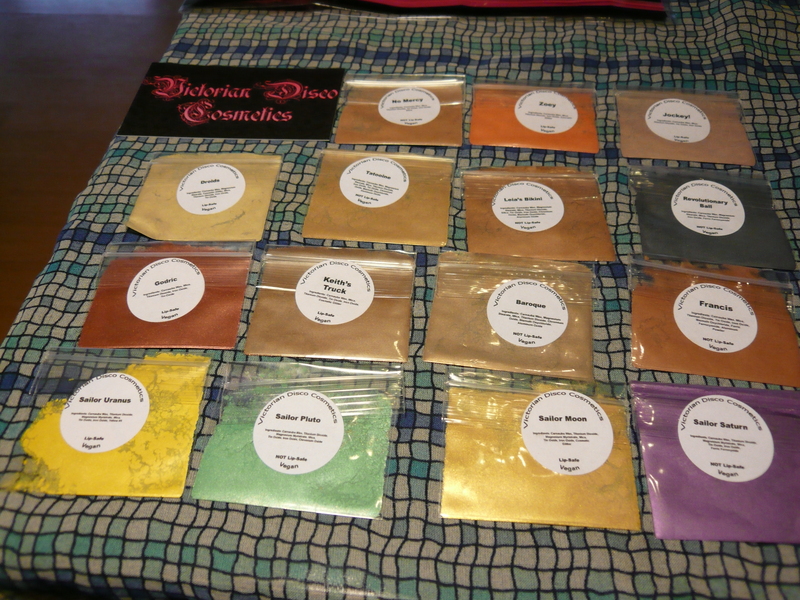 I ordered the fifteen sample pack from the etsy shop on 2/20/12 and received my order on 2/25/12. All arrived safe and sound and I also received two free samples. I ordered samples of: Droids, Tatooine, Leia’s Bikini, Baroque, Sailor Uranus, Sailor Mars, Sailor Moon, Sailor Venus, Sailor Saturn, Godric, Zoey, No Mercy, Keith’s Truck, Francis and Jockey. 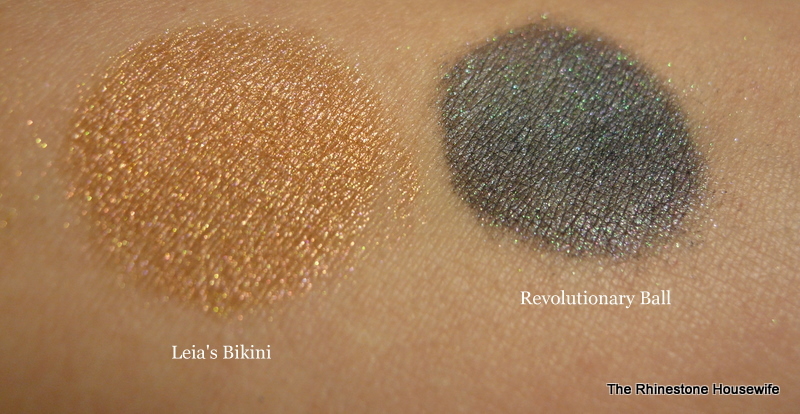 I received free samples of Sailor Pluto and Revolutionary Ball. 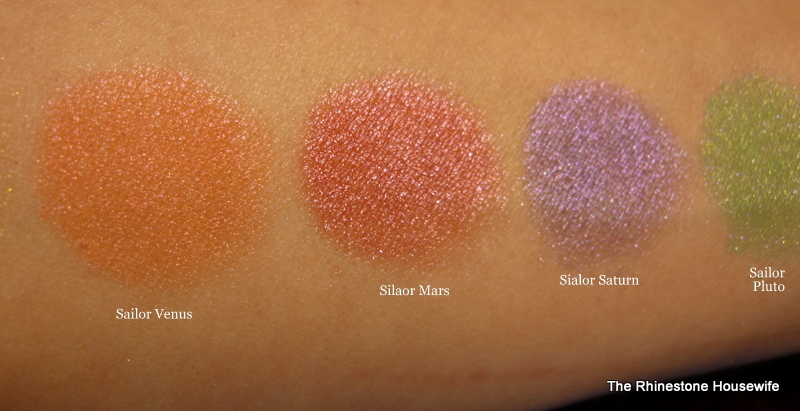 All swatches were done over Silk Naturals Stick Em Primer. Initial thoughts: Shipping was lightning fast! I didn’t particularly care for the way the sample packets were folded and sealed with the label. I found it creased the bags and made them hard to open and store, however all the labels are marked whether the pigment is safe for use on lips so that was really cool! 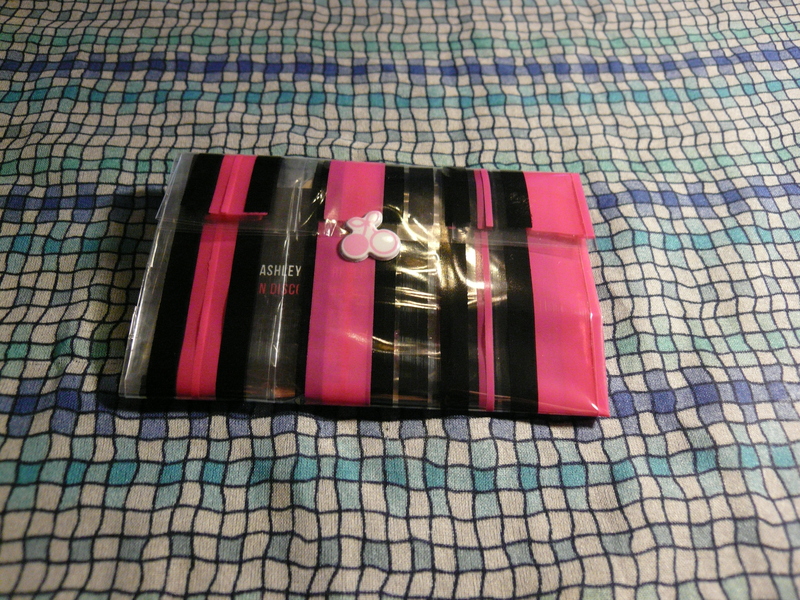 I was able to unfold them and keep the label on the baggie. 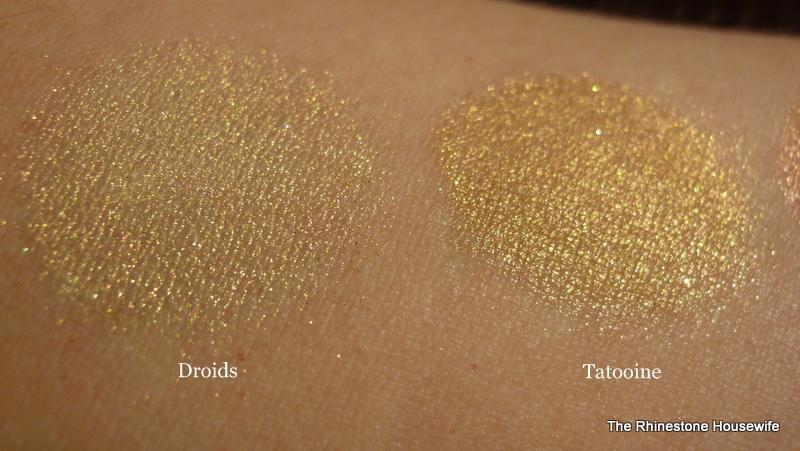 I found a couple of the colors to be a bit lacking in the pigment department (Droids and No Mercy) but several of them were pretty amazing. Stand outs for me were Revolutionary Ball, Godric and Sailor Venus. I have not yet had a chance to actually try them on my eyes so I’ll be sure to feature a few EOTD’s. 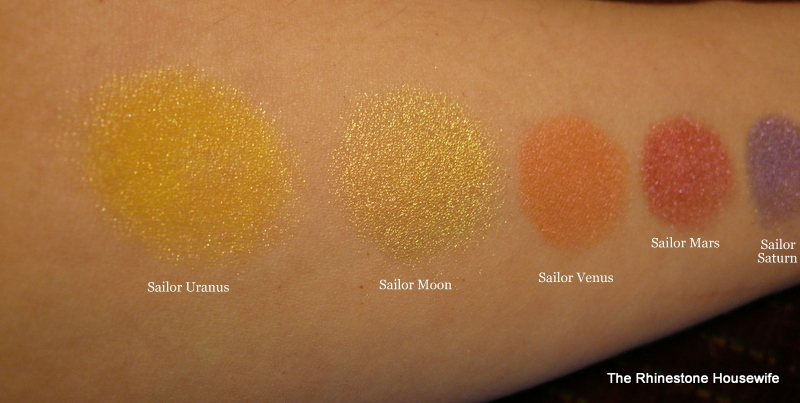 I’m guessing that with a bit of tweaking to the formula these pigments would be quite outstanding. At the present time these would be best applied over a very sticky or tacky primer like Pixie Epoxy or Lucky 107’s Concrete Primer. Be sure to check out the wonderful geekery goodness on etsy!